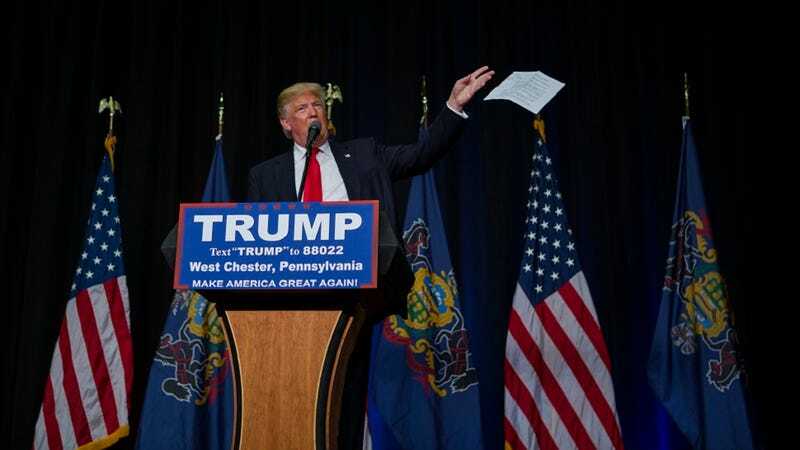 According to the Associated Press, Donald Trump has swept Connecticut, Delaware, Maryland, Pennsylvania and Rhode Island in the latest primary results, strengthening his bid for the White House later this year. Just another manic Super Tuesday, I suppose. As per CNN, Trump garnered 61.1% of the vote in Delaware, 58.9% in Pennsylvania, 54.1% in Maryland, 64.5% in Rhode Island, and 59.7% in Connecticut. The results in all five states come shortly after Ted “The Other One” Cruz an John “The Other Other One” Kasich formed a de facto alliance in an effort to bar Trump from a possible White House term. Well, we’ll see if that works, I guess.